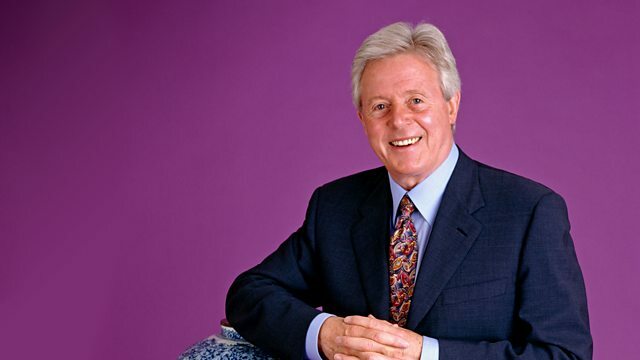 Michael Aspel and the team travel across the Atlantic for a special edition from the National Gallery in Ottawa. Their finds include a desk converted from a piano. Browse content similar to Ottawa. Check below for episodes and series from the same categories and more! a country that spans six time zones and is bordered by three oceans. Born of conflict between England and France, it is now an independent, affluent and cosmopolitan nation. I'm in Canada and this is Ottawa. but the big decisions are made here, on Parliament Hill. Queen Victoria declared Ottawa the capital - Toronto and Montreal might not have been amused. the British heritage elicits pride. long before any Europeans arrived. but the city prospered from a fourth waterway built by the British. who gave his name to the settlement of Bytown, his headquarters. Bytown became Ottawa, and the canal constructed for trade and defence is now used for leisure and pleasure. In winter, it turns into the world's longest skating rink. became known as the Group of Seven. Together, they created a distinctive Canadian look. This is "Guide's Home In Algonquin." The National Gallery of Canada has kindly agreed to host our Roadshow. who'll cast an eye over treasures revealed on this Canadian visit. Have you got that safely? -A journal by Alexander Mackenzie. -Right. You HAVE got a mixture! -I bought it from a dealer in London, Ontario. -And what did he sell it to you as? And what did you think it was...is? -Er...well, I knew it was a trembleuse because it's obvious. -Is for a lady with shaky hands. And so that's there for walking down the long dark corridors. Now, did he give you any idea of how old it was? Oh, he...he didn't say. If he had an idea, he didn't say. I was on my own as far as that goes. -What would you like it to be? -I'd like it to be Chelsea. and I had seen a picture like that in a book. To be Chelsea, it would have to be 1745-1755, in that very early period when they produced the white wares. -But I'm going to disappoint you. -It's not. What else can it be? -Well, my second guess was French. -100 would in English be £40. ..a highly desirable factory, which has this greenish hue. I love that handle, gorgeous handle. -With the curly bit at the end, lovely thing. -Well, 100 is not too bad, is it? -Well, I liked the cup. -you would get somewhere in the region of £1,500 for it. Today, you'll hear valuations given in Canadian dollars and/or sterling. It might help you to know that at the time of this recording, there are 2.25 to £1. Well, we've had it about 35 years. it was in an Eaton's catalogue - I'm not quite sure when, probably 1915-1920. Right. Despite first appearances, we're not looking at a Tiffany one. But it's still a splendid-looking lamp, OK? It gives the appearance of being in gilt-bronze, but that is deceptive. If you were to scratch through this, it would come up a silver colour. is like a streaked butterscotch. -because the demand was, you know, virtually insatiable. Everybody who was anybody in the early 20th century wanted this lamp. -that was the Canadian equivalent of, let's say, Harrods. -They had the largest mail-order business in Canada. At the moment, it doesn't benefit from the fact that it's not lit. -Because I'm sure you know that it looks fabulous when it's lit. it's probably worth nearer 4,000 Canadian, because it looks better! That's about £2,000. -Just for flicking on that switch! during the American occupancy of Germany. Right. I wonder how much a pound of coffee was in Germany at that time. -It would be his ration. Was it a good trade, do you think? These are made of porcelain, almost certainly in Berlin. -£200 to £300 for the pair. But they're not really what I wanted to look at. This boy is marvellous. It's been by my parents' fireplace ever since I can remember and we've always called him our whistling boy. Well, in fact, he's a well-known bronze called the mousse siffleur, or the whistling ship's boy. -and dated 1889 and it's cast in Hamburg and it's a wonderful quality bronze, isn't it? Um, you've got such characterisation in it, haven't you? -but here it captures the spirit of the boy so well, doesn't it? -His trousers are torn, but he's strutting his stuff, isn't he? The colour on it is very nice, too. It's been patinated to look like this. and it's been coloured to look this nice, nutty brown colour. -Be very careful not to polish it. -Yes, it's hard to tell my mother. People DO like polishing things. You should avoid it. At best a duster, maybe a paintbrush to get in the nooks and crannies. -Have you ever wondered how much it might be worth? -so they don't know that it's missing yet. But I always liked it and I thought maybe it had a value, I wasn't sure. but this is a particularly nice one, a very nice cast. -I think this would make somewhere in the region of 4,000 to 6,000. -Which is £2,000 to £3,000. -My dad will be delighted. -A very good pound of coffee. This really is such a very, very pretty box. so whatever's inside, I've got a feeling, ought to be pretty good. Wow! Isn't that absolutely glorious? and it's so nice to see them in such wonderful vibrant colour. We've got everything here, from what I can see, that a lady would need for...for sewing. -which I'm afraid now is demolished. -They lived to a really ripe old age, about 98 or so, both of them. which... I'll just see if it is marked. -and that dates from 1860, so we've got a pretty good idea that that's what this box dates from. Because I can't see any other marks. and what have we got here? so there's a wonderfully complete set. That's very nice. Very nice. I'm going to send you to see Eric on Miscellaneous. We need as many hands to this as we can get - there we go. The style and colours indicate to me it could have been made in France. and it was loaded with dead bugs. -Blew away. It's a vision of 19th-century decoration. -Indeed, you have. I think it's quite remarkable that you remember my pots but don't remember my face. -I'm afraid I look at pots, not faces! It's a long time ago. I brought it to you 20 years ago at least. a beautiful little miniature jug. The artist is Frederic Marlett Bell-Smith. He was a British artist. -Oh, I thought they were brothers. -No, no, he was the son. Bell-Smith travelled back and forth between England and Canada. like this - "Wet Day, Westminster." to travel west to paint western Canadian scenery for the eastern market, who had never seen it. So two subject matters of his come on the market regularly. Interestingly enough, one sells pretty much as well as the other. It's a typical British painting. Nice element here, with the two figures in prominence. It has all the features you'd want in a Bell-Smith watercolour. oh, I should think, maybe, in the 5,000 range - 4,000-5,000.
and os de mouton is translated as sheep horn. That's where the name is derived from, that shape of the stretcher. Louis XIV having more flowing lines. The Louis XIII style was a simpler rectilinear form, very simple style. and that's what this chair is. The low back and the arms coming out fully to the end date it earlier. and because it has some original finish left, some old crackled varnish, it pushes it up in value. If it were stripped and refinished it would be probably half the value. -would probably be around 30,000 to 35,000. -It's a great chair, and I hope it passes on to more generations in your family. These are not porcelain, they're enamel. I like enamel, and these are charming examples. Historismus, which was looking back to earlier periods. in a way they'd never been studied. -by the enamels of Limoges from the Renaissance period. and could never have been made in the earlier period. were buying these pieces, thinking they were old. and it's only recently that we've been able to sort out the copies from the real thing. This is a rather curious shaped object. -It's almost like a hip bath, isn't it? -I never knew what it was. -No, this is a bonbon dish. -and they would help themselves. -So that's what this was for. and a typical Renaissance scroll border. and although that's now tarnished and black, it would polish up. This is actually the key to it. and in here we have a musical movement. Does the movement work? It used to work. I haven't tried it for about five or six years, though. Somebody's done a bit of jiggery-pokery round here. -That's not the original stop on there. -It's wound up, just... Can I try something? -It's working! It's playing a tune. -Oh, I can hear it. -It's having a tinkle. Well, there we go. What's nice is that all the pins are in place and those are all there. Often they're broken - some child's gone in and mashed it. So it's in perfect working order. -is that when you raise that, this stud comes up and it plays. This, I think, is later. I'd put this into the 1890s. Now, what did you pay for it? Can I ask? Well, I got it about ten or so years ago and I paid 3,000 for it. -£1,500 - that was fine. That was a perfectly sensible retail price. -Less, isn't it? It's £280. That was really very good, you've done well. I mean, that would make...what would that make? -That would make £1,500, which is 3,000, so very nice. -Thank you for letting me see them. Earlier I mentioned the Canadian artists, the Group of Seven. This is a painting by Tom Thomson, one of the founders of the group. Charlie Hill, curator of Canadian art - is this priceless? but, regrettably, that is a fake. and it all blew up in '63, when two of the figures were arrested and charged and put in prison. -So it was a scandal, not someone doing homage? by JH MacDonald, a fellow painter. and the top part is not as clearly defined. What about the differences in the actual painting? What are the clues? the forms aren't as sharply defined. However, not all Thomsons look alike. In fact, one finds Thomsons with the name misspelt, because somebody has put the name on later, yet it's good. There are complications in defining the authenticity of a Thomson sketch. So the crude imitation I'm holding is presumably not worth very much. -And what about the genuine one? Thomson sketches of this quality go for between 150,000-225,000 Canadian. -Well, I've seen some strange pieces, but this takes the biscuit! and all these little compartments. What's the family history? -My mother bought it about 40 years ago in Montreal. -She moved into a retirement residence three years ago and handed it down to me. -You use it as a desk? -and there is a clue that perhaps the drawers aren't quite as old as they should be. -The construction, with little pins in here, you see? and it has this typical French moulding of the 1840s. -they're something else, aren't they? -Wouldn't they probably look better on a piano? I was wondering if they're original to the desk or if they've been added. I think they are the original for what this desk was originally. -And it WAS a piano. It was a piano, yes - an 1840s piano. Oh, my goodness! I can't believe it. I would have never, ever, guessed a piano. Wait till I tell everyone! Now, value-wise, it's slightly difficult, isn't it? -Shall we value it as a very good-looking desk? -Right, cos that's what it is today. -And in Britain it would cost the best part of £800, which is probably the best part of 2,000. That is surprising. I mean, it is so surprising, I can't believe it. -These are just fantastic whirligigs. about in the 1890s, the way we figured it. and they just stayed there in a chicken coop, till we purchased them in the 1980s. Well, they both appear to be made of Ontario cedar. which is part of the reason they've lasted this long. and then the wind would catch this paddle and make the arms go around. but purely just straight, pure folk art and whimsies. the red coat with the buttons. Just wonderful Canadian folk art. We even invest them with imaginary personalities! -and he's more or less whole. That's just playfulness on our part, I guess. -Well, that's terrific. Thank you very much. -We'd better be more respectful! Well, the response of the antiquers of Ottawa has been truly astounding. the doors opened at 9, it's 3.30pm and still people are turning up. The experts will be here until at least midnight! Nice little box, squeeze action like most of them are, like that. -Now, what have we got? What categories have we got here? -of things belonging to the late Nicholas Monsarrat. -The author of The Cruel Sea. including this doll, for which I paid 25. I never would have had her otherwise. ..with the very delicate features and the big, bouffant hair. I think she's absolutely charming. -Underneath here... Her dress really doesn't show off her figure. -filled... I think it's just cotton. -She's dressed in, probably, her original costume. Let's see if there's anything... Oh, there is a mark, let's have a look. -You went over it in pencil? So the mark tells us a lot. First of all, it tells us the number of this particular face. It also gives a good indication of the maker. -I'm almost certain that the maker was a company called Heubach. where a lot of the doll-makers set up their companies. And the Heubach company, in fact, was operating from about 1820. -She would be dating, probably, from about 1900. -..I have to say. She cost you 25 on that dark, stormy, winter night. -Have you wondered about her value? -Oh, very much so, yeah. I think that was really a good buy. You probably knew it was. -which is sort of £1,000 to maybe £1,500. -This is the most magnificent watercolour, and it is, to me, the age of innocence. It's clearly signed - "Arthur Rackham, 1910." -Can you tell me about...? and then I was given it on my 18th birthday and I've had it ever since. -Did your family know Rackham? because there is another one that isn't as clear as this. I think so. -He illustrated some great books - Peter Pan and so on. This specific subject doesn't seem to be an illustration for a book. except it does figure in this book about Arthur Rackham. -1913, for his book of illustrations. and when she was in the V&A, she sent me a card from the gift shop. How lovely. I think it's absolutely wonderful, and Rackham's work is highly sought after. "Children By The Sea, Arthur Rackham", and his address, "Chalcot Gardens". -Oh, yes, in Primrose Hill. -Exactly. So that in itself is wonderful. and to see this wonderful, sort of fresh... I mean, this girl here is so beautiful. -Yes, I like this one. -It conjures up Swallows And Amazons, and family holidays on the beach, doesn't it? -It's one of the most desirable Rackhams you'll see. It's just such a beautiful subject. -Something like this, if it came up on the market, would make between £30,000 and £40,000 minimum. -I'd say 70,000 to 100,000 Canadian. -I had no idea, absolutely no idea. Wow! because there's no glue used at all. They are coopered traditionally and held together by these brass bands. ..so you could get more bottles in. -Yes. It's a bottle carrier. -Well, at one point I held my son's Lego in it - it was a toy bucket. -I didn't know it was valuable. -Well, we haven't said it's valuable yet! -Now I'll keep wine in it. -I should keep wine in it, if I were you, yes. -You've been using - and I must say it IS quite valuable - the most expensive toy bucket. -Yes, it's worth, certainly in the English market, about £2,000. -So this has just been consigned to the back of the sewing basket? -So you've never really given it a second look? because there's so much to see when you start looking closely at it. You use it for sewing needles. Do you know what it was for originally? I'm assuming maybe a snuff box. I think you're on the right track. It probably started as a snuff box. But what strikes you when you pick up something like this is just that it's sheer perfection. It's beautifully decorated, the top. so it's a snuff box of quality. which tell me that was made probably in around about 1780. Now the person who owned this would have been well-to-do. The chances are that the original owner probably lost his head to Madame Guillotine. -don't want to lose my head when it comes to valuation! so this has got to be, probably, the most expensive needle box I'll probably handle today. -And it probably won't handle many more needles! My grandfather left it to me a pile of years ago, about 30 years ago, but I don't know where HE got it. No story attached when you got it? No, I wish I had one. He was a big shot in the internal affairs. He travelled all over the world and he passed away when I was young. Well, there's a bit of a government connection here. This cane has been carved as we say, in the round. and we believe that stands for the Governor General of Canada. He wasn't Governor General for long - a year or so, but I could be wrong. Do you expect that he made this, do you think, or had it made for him? I believe he had it made, but I'm just going by rumours. It could have been made as a commemorative piece for his time, or perhaps made as a walking stick. This would have historical value, but its real value here in Canada is as a piece of Canadian folk art. And it has just a fantastic surface. One of the things we look for in folk art is the old painted surface. There's this terrific imagery on it. we've got diamonds and hearts and this curious thing here. and you see the carver's virtuosity in carving this ball - remarkable. I think it's a delightful object. You've never had it priced? I've no idea. Not even a small clue. -Wouldn't even hazard a guess? -No, I'd be too afraid to guess. -Well, you might be surprised. -I think we're looking at about £2,500 British, 4,000 to 6,000 Canadian. -My mother was very fond of it and used it a great deal. -Well, it's a very pretty chain and it's actually Swiss. -and I think this would date from about 1830. And for insurance purposes, I would estimate this at somewhere around £5,000 or 10,000. But now we come to the real star of the show. -it was purported to have been made in Prague in about 1560. ..is typical of the 16th century, as is this beautiful enamelling on the sides and on the back. It's really in immaculate condition, I must say. It's really survived beautifully. Jewellery of this period is rare today, seldom comes on the market. -I would estimate the value of this between £20,000 and £25,000. -Which would be about 50,000. It's a really spectacular piece and I'm delighted to have seen it. Well, thank you very much indeed. and I have to hand it to the folk here for their enthusiasm, patience and their unfailing good humour. So from Ottawa and our first Canadian Roadshow, goodbye. Michael Aspel takes the experts across the Atlantic to Ottawa for a special edition set in the National Gallery of Canada. Among the finds are a bronze figure obtained in exchange for a pound of coffee, a desk which started life as a musical instrument, a pair of 19th-century 'whirlygigs', wooden bird scarers, rescued from a chicken coop and worth £10,000 and, the real star of the show, a 16th-century emerald jewelled cross which could be worth £25,000.